Police have found a charred of a 28 year old youth in a car on Park road, Narahenpita early today, police spokesman SP Ajith Rohana said. 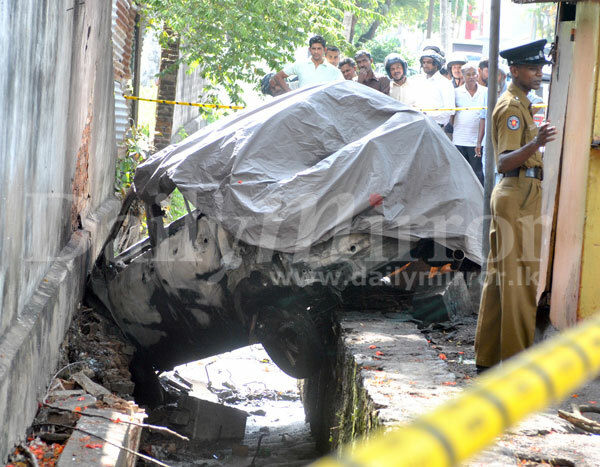 The body was identified as that of Wasim Thajudeen a Sri Lankan ruggerite and former Havelock SC captain. 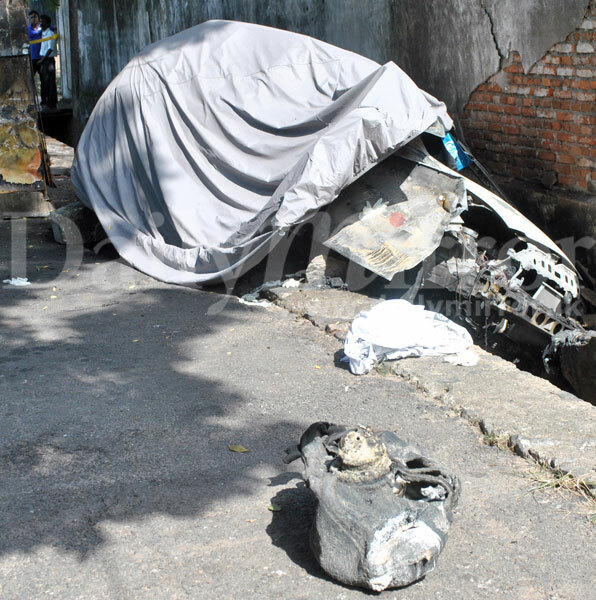 According to sources Thajudeen had been driving to the airport when he had lost control of the car and crashed into the wall of Shalika grounds on park road. The car had exploded within seconds of the crash burning the whole car. Very sad to hear . 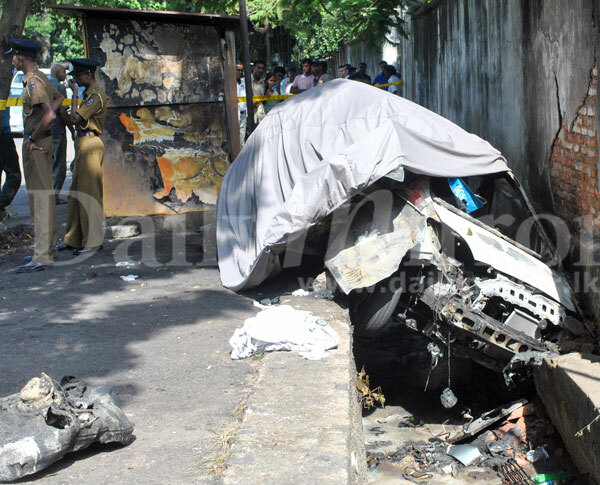 fmr thomian and Sri lanka ruggerite wasim thajudeen was the person who was killed in this accident. SPEED makes your life SHORT !! Young gents please don't speed up on the roads. They are not race tracks !! Even after this yesterday I saw 2 cars racing atleast at 120km/h on baseline road. I praid them to die before they hit any innocent man or vehicle on the road. May they hit walls !! This is not the place for a person of this calibre to be. Hope he will be recognised duly in Heaven. I think here only we can see, unlike for a Rest in peace quote. What the hell? Not funny to those who knew Wasim.. This is in appropriate Wassim was always a careful driver... a good guy... a great rugby player.. his only thrill was to speed away with an oval shaped ball in his hand. As a Royalist, i am deeply shocked to hear this tragic news. May Almighty Allah SWT grant him Jennathul Firdhouse. Ameen. I am shocked to learn the unfortunate death of Mr. Thajudeen, who is real gentelman, and a big loss to his family, friends and his clients. He his soul rest in eternal peace. its not speeding. he was one of the most responsible guys around. he must have fallen asleep. please do not comment without knowing facts. So are you an expert on Hybrid cars? What make of hybrid would you be commenting on? If it is a Toyota Prius you are out of your mind. Prius is one of the most advanced hybrids on the market, Gen2/3 have some of the highest levels of safety features ever. Besides the comment is not appropriate for the subject, it's a tragic accident not motoring discussion! I feel sorry for him...true friend and great rugby star .Big lost to the Country and Club.so unlucky... never forget from my heart............R.I.P brother Wasim. Was it a Hybrid car?...because Hybrid cars are likely to catch fire in the event of a head on collision. Thugs are ruling it, that's whats happened to the country. Oh God, what is happening to our beautiful country? Its dangerous to play rugby these days because of the 7's tournament. May allah grant you jannah bro! great loss ! Esto Pepetua1!! May almighty Allah grant you haven Brother..
An incredibly high number of young people are dying today due to different causes. Very sad situation.